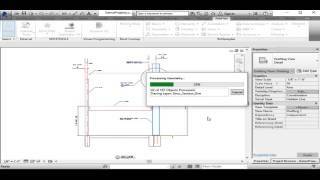 CADTracer is designed to allow Autodesk® Revit® users to replace CAD imports in projects with Revit Line work. Additionally, you can create the traced lines within Revit Families either as Symbolic Lines or Model lines (depending on Family Template used). CADTracer allows users to map Revit Line Styles with CAD Layers thereby achieving precise control of Line Weights and Line Styles. This tool can be used to convert 3D imports to 2D Linework and vice versa. 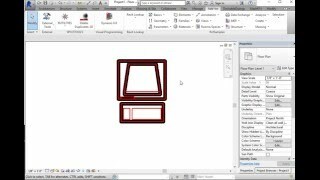 CADTracer is an ideal means to convert CAD blocks to Revit Families. If used as the first step of the Family-creation process, you can have a working version (as far as plan representation is concerned) of a Revit Family with hardly any effort. NEW: Support for Revit 2019 and automatic update checker. The new 'Use Line Length Correction Algorithm' is enabled by default. This lengthens lines less than .004 inches (approx. 1.2mm) to this value so that Revit will not prompt deletion of all lines that Revit is unable to create. Layer Mapping: Running the command 'CADTracer' launches the Layer Mapping Window. This Window not only allows the user to map existing Revit Project Line Styles found in the CAD Import, but also allows the user to specify if he or she would like to trace using Revit Lines in the project, or, create a separate Family with the Trace and then load the family into the project. Model and Symbolic Lines: The panel on the right of the Mapping Window allows the user to specify if he or she wants to trace using 'Model' (3D) or 'Detail (2D) lines for the Trace. Controls for specifying if the Trace needs to be encapsulated within a family and the Family Template to be used for creating the Family are also available in this panel. Tracing: The user can select 'Trace in Project' or 'Trace in Family' at the bottom right corner of the Mapping Window to execute the command. Corner Cases: In a situation when the user requires the CADTracer to create Symbolic Lines in a Model Family Template, CADTracer displays a warning advising the user to save the Project before proceeding. Alternatively, the user can choose to create Model Lines within this Family and then proceed to convert the Model Lines to Symbolic Lines by editing the Family created by CADTracer. If a Family is created and loaded into a project by CADTracer, the family is assigned the name of the import. If the user tries to trace another copy of the same import, CADTracer will use the family that was created first rather than re-creating the family with revised settings if any. Saving and Sharing Presets: The CADTracer allows users to save the Layer Mapping assignments to an external *.JSON file. This can be used to trace imports that have similar layer standards repeatedly or to share layer mapping definitions between users. The CADTracer is part of a series of utilities collectively called 'RUTILITIES' developed by SpiceTools Technologies Limited. The purpose of these utility applications is to assist users charged with the management of the Revit Project Model with timely and vital resources. Please visit http://spicetools.co for further information. NOTE: Revit cannot create lines that are too short to be drawn on the screen. The app will display the 'Line Too Short' error and give the user an option to remove the lines in question. Support for Autodesk® Revit® 2019 Removed user warnings indicating a failure to check for updates. It processed over 3,300 lines and/or polylines and created a detail component family in the process. It did ignore those AutoCAD blocks that contained lines that were too small to create in Revit. Thus, the resulting Revit linework was not an exact copy of the original CAD file. But, it worked for what we needed to accomplish; so, we have no major complaints so far. does not complete cad trace.. Thank you for your feedback. The reason you are seeing this behavior is because your CAD data probably has lines of length lesser than 1/32". As you may be aware, Revit cannot draw lines that are too short - and hence it throws an error or stalls. Many times this occurs because of exploded Hatches in the drawing. We are happy to report that the latest version v2.0.2 has an algorithm to detect these lines and correct them when possible. You could also try scaling your drawing up before performing the trace. This will reduce the likelihood of the App encountering short lines. Cheers and Happy Tracing!!! Thank you for your feedback. The reason you are seeing this behavior is because your CAD data probably has lines of length lesser than 1/32&quot;. As you may be aware, Revit cannot draw lines that are too short - and hence it throws an error or stalls. Many times this occurs because of exploded Hatches in the drawing. &#13;&#10;&#13;&#10;We are happy to report that the latest version v2.0.2 has an algorithm to detect these lines and correct them when possible. You could also try scaling your drawing up before performing the trace. This will reduce the likelihood of the App encountering short lines. Cheers and Happy Tracing!! !